Of the 721 articles that were screened, 5 studies that enrolled a total of 125 subjects with bipolar depression (mean age, 44.6±4.3 y and 65.6% females) were included in the systematic review; 3 randomized controlled trials (69 subjects) were included in the meta-analysis. 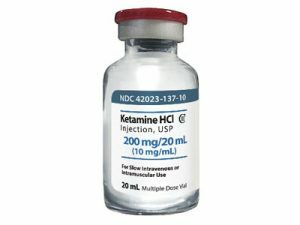 The meta-analysis showed significant improvement in depression among patients receiving a single dose of intravenous ketamine compared with those who received placebo (SMD=-1.01; 95% confidence interval, -1.37, -0.66; P<0.0001). But the retraction notice tells a different story. The Editor received a letter from Joakim Ekstrand, PhD and Pouya Movahed, PhD, MD from Lund, Sweden, expressing concerns about an article in the November, 2015 issue of the Journal entitled “Efficacy of ketamine in bipolar depression: Systematic review and meta-analysis”. Drs. Ekstrand and Movahed pointed out that the Parsaik et al meta-analysis referred to 3 randomized controlled trials, in which a total of 69 patients were enrolled, yet careful review of these publications revealed that all but 3 of the participants in the third study were identical to the participants in the first and second studies. Hence the effect size reported was erroneous due to the incorrect number of participants reported. The Editor has conveyed this information to the first author of the 2015 publication, who replied that the error was unintended; he was informed that the paper would be retracted from the Journal. We appreciate the diligence of the authors of the letter to the editor, and the Parsaik et al paper in the November, 2015 issue of the Journal of Psychiatric Practice is hereby retracted. This isn’t the first retraction of a paper that looked at ketamine and depression. One such paper was the subject of this 2017 post, which reported on an investigation by Yale University. This was a systematic review and meta-analysis of all the available studies on “ketamine for bipolar depression.” In the systematic review, we included five studies. In the meta-analysis portion, we analyzed 3 available RCTs (Lally et al, Diazgranados et al, and the Zarate et al). Unfortunately, we were not sure from the manuscript by Lally et al whether the subjects were the same as included in their previous study. This was an inadvertent error which was missed by authors as well as during the critical and comprehensive review phase by the journal. It was an unintentional error; therefore, we decided to retract it (the decision was mutual by journal and authors). We did contact the authors of original studies including duplicate patients. We are currently working on redoing the whole paper which also includes any updated studies since then. The paper has been cited 11 times, according to Clarivate Analytics’ Web of Knowledge. We had a RCT comparing the efficacy of ECT [electroconvulsive therapy] and ketamine in severely depressed inpatient running and I was keeping an eye on the development of the field, and a bit annoyed in general about the trend to do meta-analyses and reviews instead of proper studies. Since I was preparing our next study with ketamine for bipolar patients (power calculations and such) I had an overview of which studies had included patients with that particular diagnosis and knew exactly how few RCTs that have been done. I also knew (from previous personal confusion) that those clinical trials (the RCTs) had generated a number of publications reporting secondary outcomes (mainly biomarker related analyses), and that referencing to the original publication was often done in a relaxed manner, at least sometimes without using for example the clinicaltrials.gov-identifier. The authors did not seem to know the literature [well enough] prior to writing the review / meta-analyses, and what they lacked in being up to date wasn’t compensated for by “hard work” (actually reading the studies, thoroughly…). Whoever peer-reviewed their study didn’t do a decent job. And, again, in a broader sense I think it indicates a general tendency that more and more reviews and meta-analyses are coming out simply because it is a easy way to get academic credit for work that is so less cumbersome than actually contributing by doing clinical trials. And even if those three studies with a total of 69 study participants all were unique individuals, doing a meta-analyses of such a small population of studies all from the same group really doesn’t sound very appealing. Fraught meta-analyses have reached epidemic proportions, according to John Ioannidis, who argues that not only are they frequently superfluous, they teem with with undeclared conflicts of interest and misleading claims, particularly about medications. As to how often other researchers cite those publications incorrectly I don’t have a clue. I don’t really think that is a problem. The proliferation of one clinical trial into many publications – in which is not very clearly stated that these are patients previously described in previous publication – ,might confuse readers into believing many more clinical trials have actually been done than is the case. A simple solution (or at least an attempt at one) would be to always include a NCT Number, which would make cross-checking so much easier, right? Ekstrund sent that email in mid-April. This is very egregious because there are people suffering from deep depression who have tried many medications and reach out to one more treatment based on clinical studies. This is not a cheap treatment and insurance does not cover it. As a reviewer I have noticed more and more poorly done meta-analyses. In some cases they seem to only be done to garner another publication with very little done to actually compare studies as to variables, base-lines, length of treatments etc. Blaming this error on the reviewers is not appropriate. Reviewers do not have the same level of information as do the authors. This is solely a problem of inadequate checking on the part of the authors. A minor problem with the headline here. As I read things, the problematic review was of ketamine for treatment of depressive symptoms in bipolar patients, rather than for treatment of major (unipolar) depression. The effectiveness (or lack thereof) of a drug in bipolar disease does not necessarily imply that it is or is not a good drug in major depression, and vice versa. Why is the taxpayer pouring billions into this so-called “scientific” research when its high priest practitioners cannot even count? This retraction is poorly titled and misleading for readers. Retraction due to a small error in meta-analysis does not make ketamin less effective. Anyway, the best evidence is obtained from RCTs, which have consistently shown that ketamine is effective.